Thank You! Thank You! From Me To You!! Hey there Tappereenos, here at Addicts we get a question a LOT about our readers wanting to reach out to other Neighbereenos in the game. To date, EA has not made a way possible for us to reach out to our Neighboreenos. Is there any way to set up a running post where friends can commend or thank each other? I mean, this new event has showed me I have some pretty great friends. And I know some must have come from the tstoaddicts site. So it would be nice to have a dedicated space where they can be thanked, because some of mine do seem to go above and beyond. Just a thought – I think it’s too bad EA has set up this big social game, but it doesn’t actually allow for any, you know, *social* interaction. We really do quite like this idea. So we decided to give it a go. Feel free to use the comment section below to give a “SHOUT OUT” to your Neighboreenos. Admire their decorations, town design, consistent tapping in your town, pretty much what ever you would like to say. Here are a few guidelines we ask that you follow though, we would like to keep this as positive as possible…so please, no negative comments…or Bunny will bury them in the basement with the bodies…errrr…ummm…just don’t do it. If you want to put your email address out for contact, you do it at YOUR OWN RISK!! You will take full responsibility for any and all emails along with their content that are sent to you by doing so. Just remember, you are putting it out there for ALL to see. Anyone that reads the comments and/or site will have access to it. ANYONE. This entry was posted in Tapped Out and tagged Addicts Readers, Leave message for my neighbor, Reader Thank You, Say something to my neighbor, The Simpsons Tapped Out, TSTO Add Friends, TSTO Addicts. Bookmark the permalink. Hey thanks for the add. I love your town! Great job! I can’t believe how many new neighbors I have now, it has to be close to 25 and I am so happy, you all rock! Happy New Year to all my friends! It’s a pleasure to visit your towns. All the best to you too for this year. Hello Hobbes, always a pleasure visiting you’re town our noticing that you visited mine. Wishing you all the best for 2018. 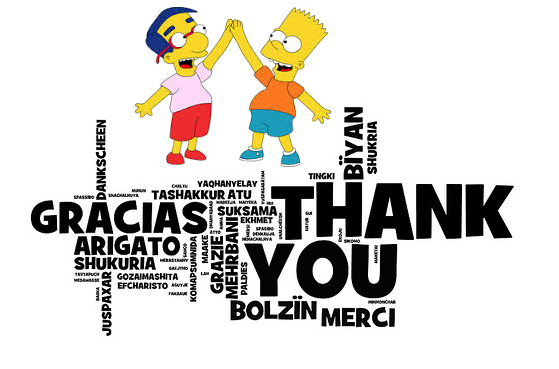 I just wanted to say THANK YOU for my new friends in The Simpson’s Tapped Out (TSTO)! I was waiting to add some friends and unlock those precious donuts! You can never have enough friends in TSTO as far as I am concerned. I also wanted to thank the website designers and creators for some great advice while playing through the game. Feel free to add me as your neighbor in game, my Origin Electronic Arts (EA) ID is snowfoxq and I am currently a Level 25 player. Merry Christmas, Happy Holidays and Happy New Year to all!! XOXOXOXO Ho Ho Ho! I want to thank some of my neighbors for not only playing daily but visiting me every day. It’s really hard to find neighbors that play daily & visit me daily even when there isn’t a new event to play. So I hope y’all see this. If anyone who does the same please feel free to add me at tiffnvb I also like neighbors that decorate their towns too. I visit you everyday! Love your town. I love your post. Thanks. Hi Tapped Out Friends. I hope it’s okay to post here. I just have a message for my friends/neighbours that visit me in game. My boyfriend passed away this past May 2017. That’s why I haven’t been on playing much. I try and update when I see something new going on via email, other sites etc. I just can’t get myself back into the game right now. I wanted to say Thankyou to my friends that still visit me everyday, I get the notifications pop up. I’m sorry I haven’t been visiting back. You guys are hard to come by and I appreciate every one of you. I hope to be back soon. My username/origin is NewfieBeauty. I really hope some of my friends catch this message. Thanks. I recently posted on the add me thread. Thank you to everyone that sent me requests! Ive enjoyed looking at all the designs. I owe a HUGE apology to all of my neighboreenos! I’ve not played for several months due to non-stop migraines. The light from my pad is killer, as is much of life right now. BUT…I AM determined to play this new game. So, if I don’t see y’all playing with me within a weekish, I’ll understand completely. Biggest, annoying Nedly hugs to each of you! To any friends that I have mistakenly vandalized a building I’m sorry. Been having slow response getting into some towns, since EA has added the screen time out. So when I get in it has tapped a building right close to the loading point. If you have Moe’s or the school right near…they get nailed. I want to thank all my new friends. Your towns are amazing! I have to shout out to omnieskate860, did not mean to vandalize one of your buildings. I apologize! Thanks to everyone who has added me lately, I had one Neighboreeno, and in a week I’m up to over 60! I really enjoy visiting all of my neighbors. Thanks for being my friends I really appreciate each of you.